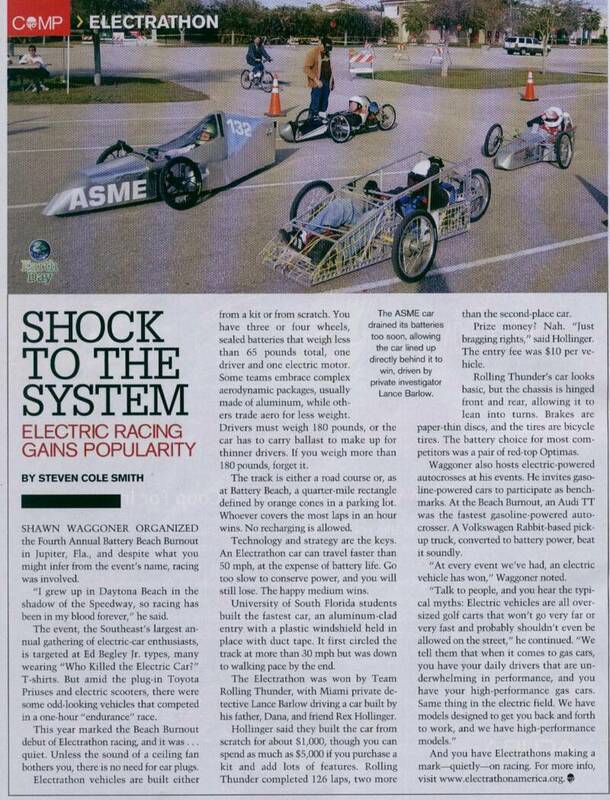 This article appeared in the April 20, 2009 issue of "Autoweek" magazine, and features and article on the Electrathon race that we won in February, and a few pearls of wisdom from your truely. The team from the University of S. FLorida in Tampa. For more on Electrathon, click HERE.